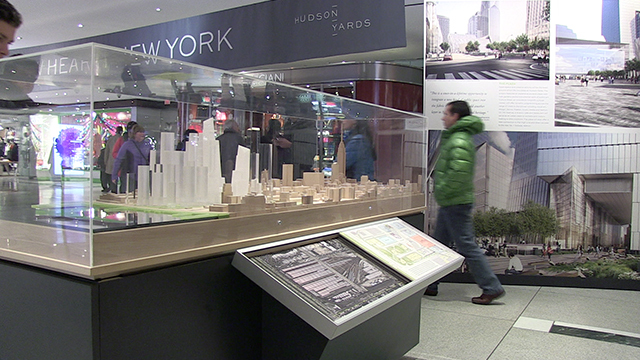 HUDSON YARDS is the premier development by Related Companies. 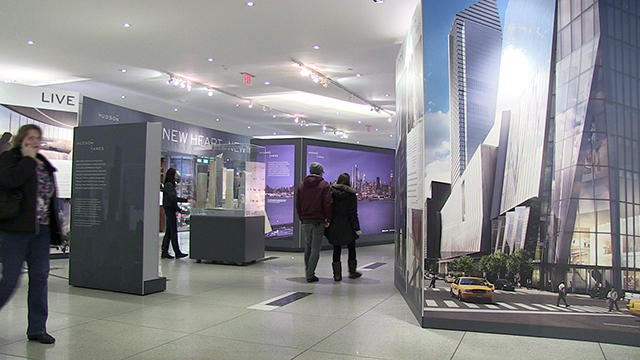 In an effort to showcase the project to a larger audience, the original exhibit at the Center for Architecture was redesigned and scaled for a larger public space. 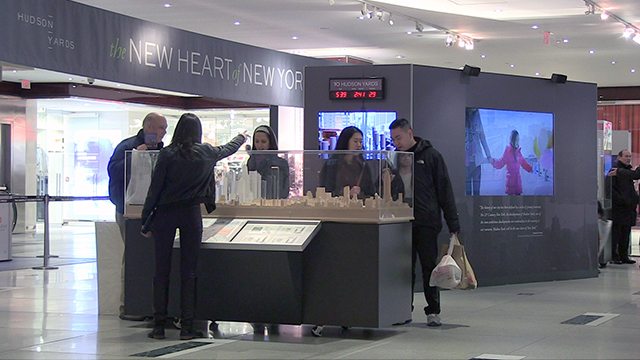 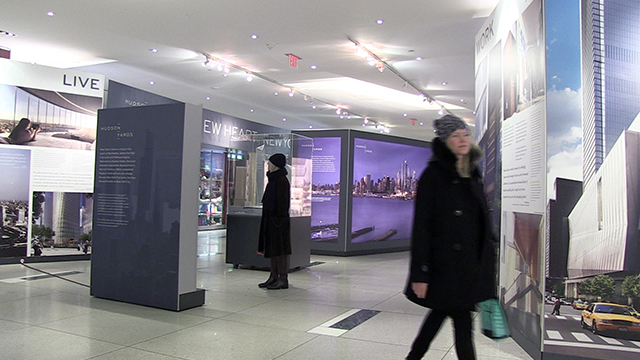 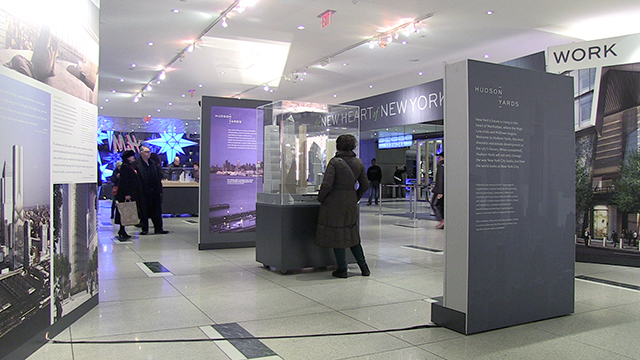 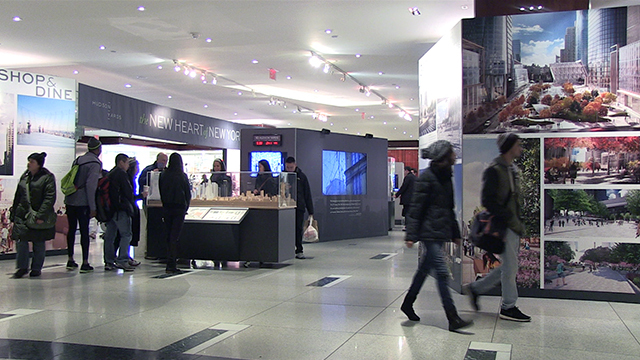 Over 50,000 people a day pass through Time Warner Center during the holiday season; this exhibit was placed strategically where traffic flow was the highest. 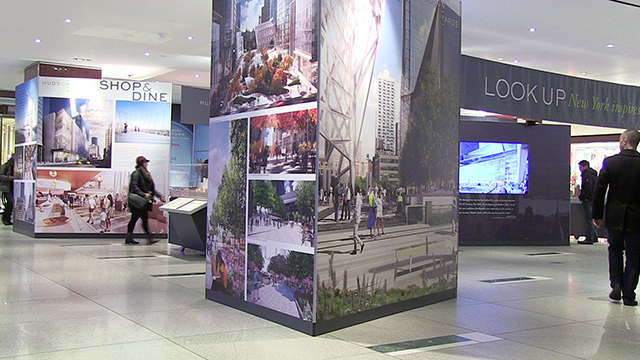 Super-sized murals created dramatic portals into the center area where an 80” screen, programmed to show videos of the project, anchored the center island. 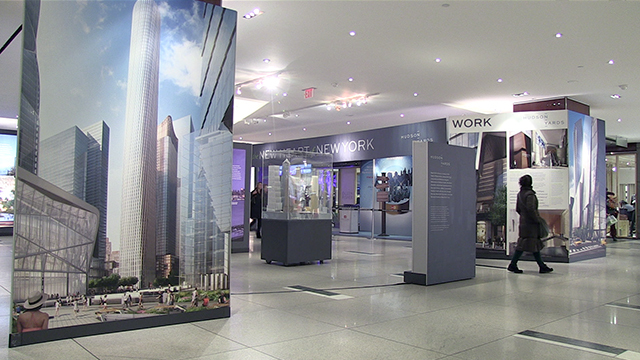 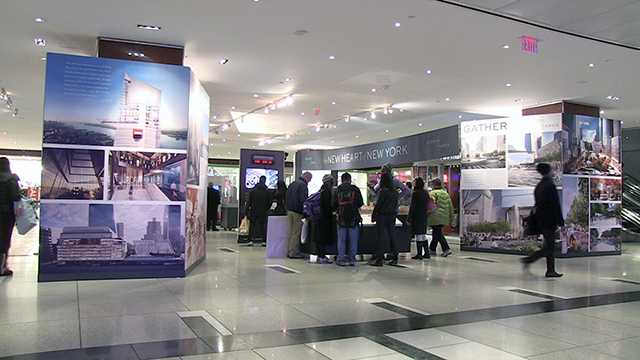 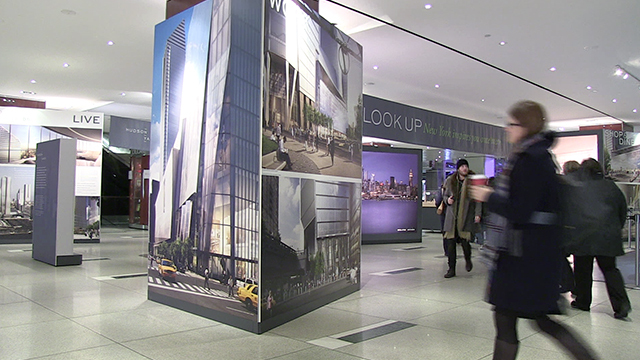 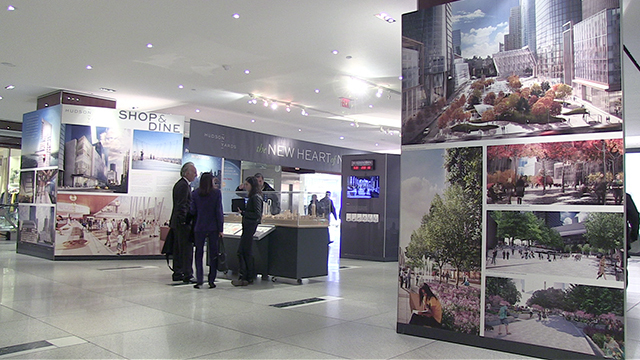 An interactive kiosk, time-lapse videos of the construction and models allowed visitors to access the project from different perspectives.